Landscape Design is at the heart of every project we take on. From driveways to front entrances, the complimentary plantings and planting beds that accompany your hardscaping are what bring your home to life. If you have a new home or simply need a curb appeal update, our designers can assist. Our knowledge of plant material, bloom times and plant maintenance allow us to create compelling designs that offer year-round beauty. 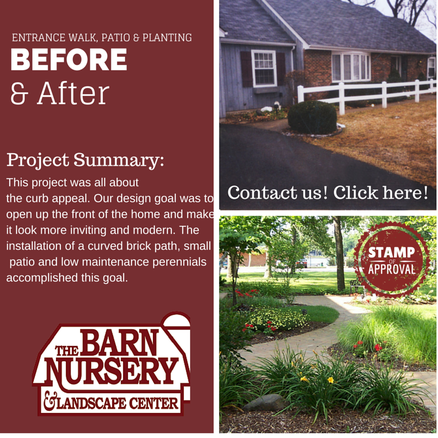 Consider The Barn for full service landscape design for new construction and existing homes. Large scale projects can be designed and completed within one season or phased depending on the needs of the homeowner.